Start-rite Swirl girls walking shoe. 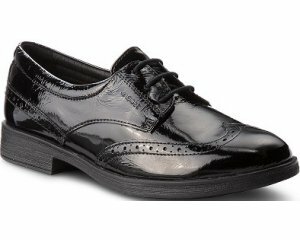 It features a T-Bar design with a soft patent leather upper that moulds to the shape of the foot. The buckle fastening allows for adjustability and also helps to maintain a secure fit when walking. 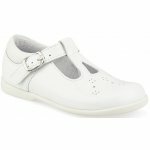 Enhanced comfort with it's soft padded ankle support and underfoot cushioning, making it ideal for everyday wear. It has a Biomechanically engineered flexible and lightweight sole that provides the right amount of grip for natural, easy movement.